Okay, in the last post, How the New Tax Law Effects Our Household, I “buried the lede” in journalist parlance. 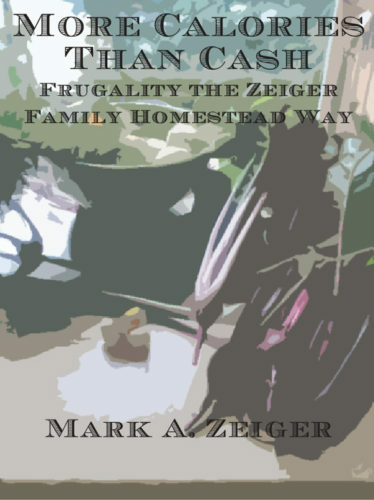 Down at the bottom of the post, I announced a new eBook, More Calories Than Cash: Frugality the Zeiger Family Homestead Way. I should have flogged the book from the get-go, but didn’t. More Calories Than Cash, Mark’s newest ebook (Image: Mark A. Zeiger). I actually started that blog post on December 23rd 2017! On that day, I found the CNN news story that offered the online version of the Tax Calculator featured in the post. At that time, I was pretty fired up. Congress had just passed the tax “cut” and the calculator indicated that at our income level, it represented little more than a brief tax respite before our taxes inevitably went up. As I wrote the piece, I thought about what other posts I should link to the essay. I started a list, and by the time I stopped, I realized I had a short book’s worth! “Short” felt like an important qualifier. I don’t know about you, but I hate to read “how-to” books, particularly when I’m anxious to do whatever the book’s trying to teach me to do, so no way did I want to write one! The idea of compiling an electronic pamphlet with short, to-the-point examples of how we get by on so little money, appealed. And, of course, it would have to be cheap. Dirt cheap: $1.99! If I sold it exclusively from our Web site, we could manage that. But, life intervened. I set the idea and the blog post aside for almost a year. Even then, I only changed it to add links to reference articles on the tax cut, on the rich, and on congress. 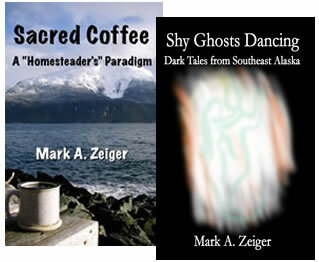 I finally got busy on the eBook in January. 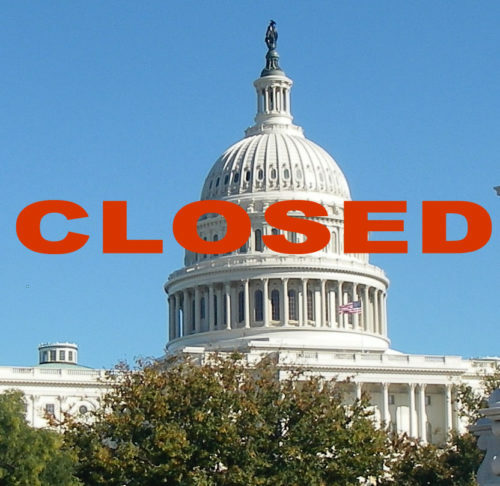 Then the government shut down over the question of funding the border wall. Suddenly, the term “living paycheck to paycheck” hit us all in the face. I’d been mulling that phrase over the previous year, but now everyone seemed to be talking about it. And, the crisis proved worse than I’d thought. Clearly, I had to punch the eBook out in a hurry. And, apparently the process of creating an eBook has changed considerably since the last time I made one! I kept it short, even though I thought of topics to add right up until the final edit. As the eBook explains, frugality has made us who we are today. We’ve always had, and always will have more to say on the topic. But, I got it done, and it’s now on sale exclusively from our Website Store. Hopefully, it’ll help save people some money in the months ahead, and perhaps for the rest of their lives! I paid the $1.99 but didnt get the book. Can you help? Lloyd, yes, I’ll contact you off site. Gaaa! Sorry, Susan. You would not believe the twitching I went through yesterday, trying NOT to email you to make sure you received your copy. I should have given in to the urge. I’ll send you a copy off site, and try to fix that stupid leak. Which, for everyone’s information, supposedly takes the purchaser to a link that allows one to download a ZIP file of the book. That, somehow, does not seem to be happening currently. If I can’t fix it, we’ll go back to the old fashioned fulfillment of orders manually and individually. UPDATE: Thanks everyone, for your patience! The download problem is now fixed! Who knew? One needs to actually upload the files to be downloaded, before they can be downloaded. What a wacky concept.